While many newer homes all over the country have some type of forced air heating, many people still rely on boilers to provide them with steam or water radiant heating. This type of heating can be extremely effective and energy efficient, so even if you are selecting a heating system for a new home, gas and oil boilers are still worth considering. In the Greater Toledo, OH area, gas and oil boilers can work quite well to provide safe and comfortable heating all winter long. Plummer Enterprise’s is proud to offer these great systems to our customers and we will be happy to explain their benefits to you. Depending on your situation, a gas or oil boiler may be just what you need. 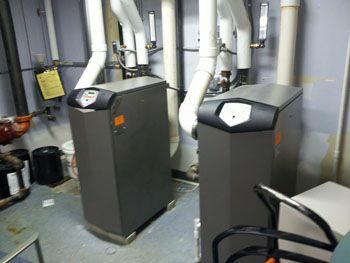 Boilers are part of a home heating system that utilizes either steam or water to carry heat throughout your home. 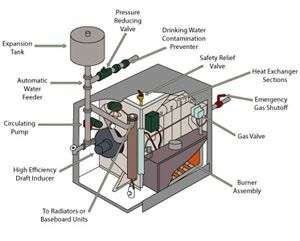 In a typical system, the gas or oil boiler will heat the water, which is then circulated through a closed system of pipes and radiators spread throughout your house. The heat from the water or steam is passed to the radiators, which then transfer it to the air in the room. Many of the new hot water boilers on the market today have efficiency ratings of over 90%. This impressive efficiency means lower heating bills for you every month even as you enjoy the comfort that a boiler-based heating system can bring to your home. 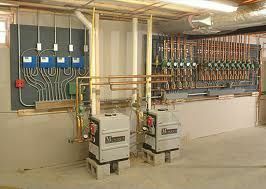 In fact, many people prefer the heating experience that boilers provide over that obtained from a forced air system. Currently there is a $150 tax credit for gas boilers that have an efficiency rating of 95% or higher. At Plummer Enterprises we can help you select a gas boiler that will qualify for the tax credit. Give us a call for more information. Steam boiler efficiency however has not changed. Steam heated homes can be very comfortable. If you are looking for ways to save energy and money in a home heated with a steam boiler, the best strategy is to look at ways to reduce the building heat loss. Call us for ideas. and more, you will need a qualified and experienced professional service to install your new boiler, and to remove your old one if this is a replacement purchase. Our technicians are experienced in working with all types of boilers and can easily remove your old system and put your new one in place. We will also strive to complete this process as quickly as possible and with a minimal disruption to your household. Just like any other piece of equipment in your home, a gas or oil boiler will need maintenance from time to time. In fact, the best way to keep your boiler in good working order for the long term is to have a professional come out and take a look at it on a regular basis. Most boilers only require this type of maintenance once every year or so, and the minimal cost of these visits will quickly be offset by the savings they will generate. By keeping up with regular boiler maintenance, you will keep your monthly heating costs down because your boiler will consistently be operating at peak efficiency. You will also be much less likely to require emergency repairs down the line because a maintenance technician can catch most issues before they actually turn into serious problems. 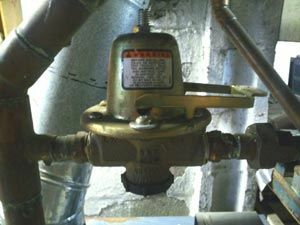 However, there will probably come a time when you do require boiler repair services, and Plummer Enterprises can take care of that as well. We will always have someone available to answer your calls and dispatch a repair technician as quickly as possible to examine your system and perform the necessary repairs. No matter where you are in the Northwestern Ohio area, we will be glad to assist you with all of your gas and oil boiler needs. Feel free to give us a call any time at 419-740-7126 to learn more about the great products and services we offer.